Armenia is a great tourist destination, with its millennia of history, fascinating art, epic hiking trails, food and wine culture, and sophisticated nature. In addition to this, its capital city, Yerevan, is a great place to explore urban night life and city culture, and both historical and archaeological monuments. That’s why we are offering you our day tours from Yerevan, which will help you discover Armenia and, at the same time, enjoy the charming life of Yerevan. This is an ideal day trip if you want to see fantastic terrain and ancient culture. 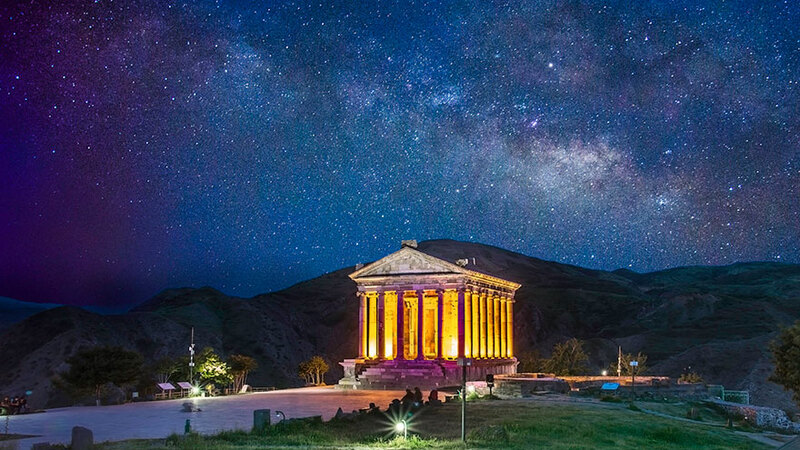 40 minutes’ driving from Yerevan will bring you to the historical village of Garni, which gave its name to the pagan temple. The temple is dedicated to the Sun God Mihr (His cult is equal to the Indo-Iranian god Mithra), and is a skillful blend of Hellenistic and Armenian traditions in architecture. Situated at 1600 meters above sea level, this monument is also a fantastic viewpoint for the surrounding gorge. If you meditate a little, you can get connected with Martians from this place, not for its high location, but because in 2015, the crater containing liquid water discovered on the planet Mars was named Garni, after this village. 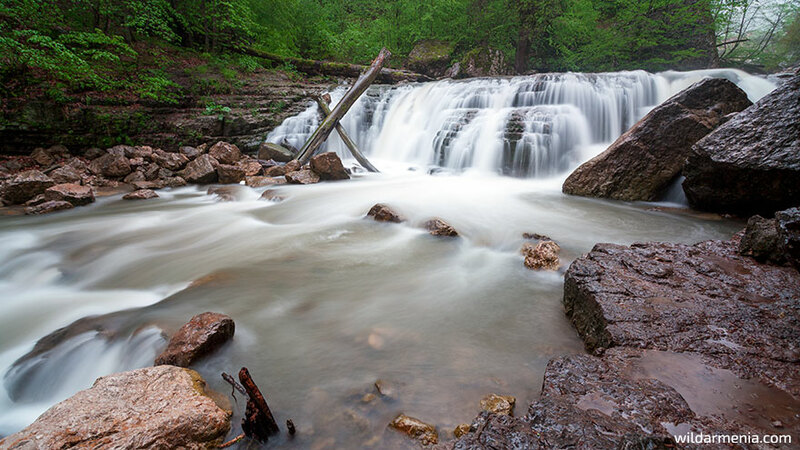 After visiting the temple, you can hike down the gorge of Azat river that naturally protects the temple area. A 4×4 ride is also possible. 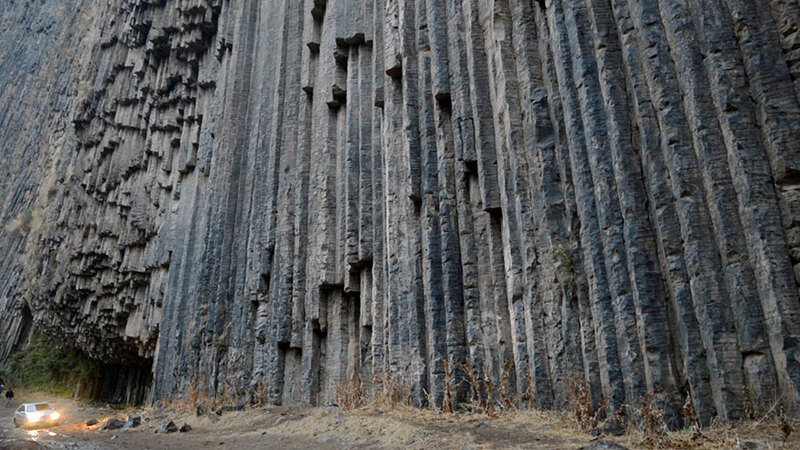 We will stop at the natural monument at the bottom of the gorge, called “Stone Symphony”, a basalt formation shaped by crystallized lava. The last destination of this day trip is Geghard Monastery, surrounded by and sculpted from that cliffs. It is worth mentioning that this monastery is included in the UNESCO World Heritage List. 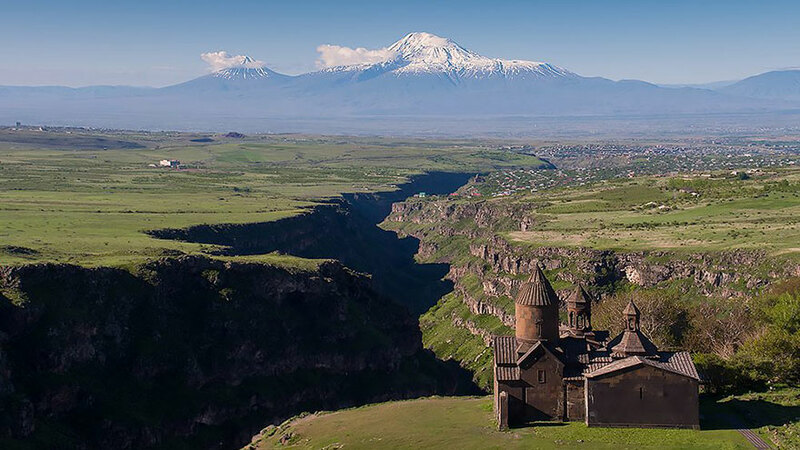 Check out our article of UNESCO sites in Armenia. The next popular day trip from Yerevan on our list is again within a handy drive, but this time, you are only going to see urban landscapes. This tour is in the neighboring town of Yerevan Etchmaidzin, which is the spiritual center for Armenians from all over the world. If it is possible, make this trip on a Sunday, and you will get the chance to assist exceptionally beautiful mass. Even if you are not a religious person, you can still enjoy the magnificent choir during the liturgy. Learn more about this destination here. The next daytrip from Yerevan is very enjoyable because of its breathtaking scenes. 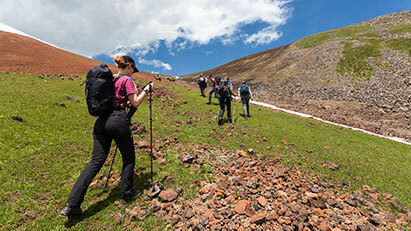 First of all, we are going to see the highest peak of Armenian Republic – Aragats – and second, the greatest tectonic gorge of Armenia – the Gorge of Khasakhriver. Our first destination, Saghmosavak Monastery (13th century AD), is located at the edge of this gorge and is perfectly integrated into the marvelous landscape. Tradition has it that this monastic complex was founded by the first Armenian patriarch, Gregory the Illuminator. The name of the monument is translated as “Monastery of Psalms”. Maybe the adjacent gorge still keeps the resonating echoes of the psalms that were performed by the monks. Close your eyes and try to catch them. From here, we will drive about 10 minutes to reach our second POI – the Alphabet Park. This is a special monument dedicated to the 1600th anniversary of the Armenian alphabet. Here you can see stone letters clustered together in an open field adjacent to the highway. Ask your guide to point you towards the letter of your initial, and make a picture with this unique stone letters. 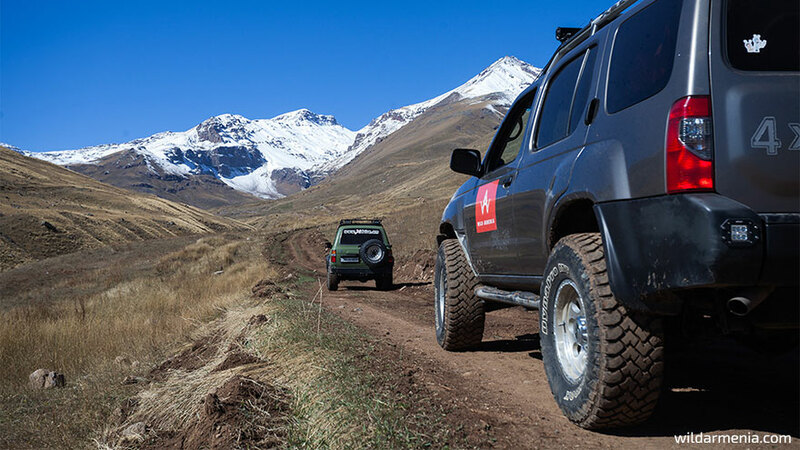 Then we will continue driving the serpentine road that will take us to the slopes of Aragats Mountain. In springtime, the roadside is covered with varicolored flowers. Once you get to 2300 meters above sea level, the 10th century Amberd Fortress will appear to you. 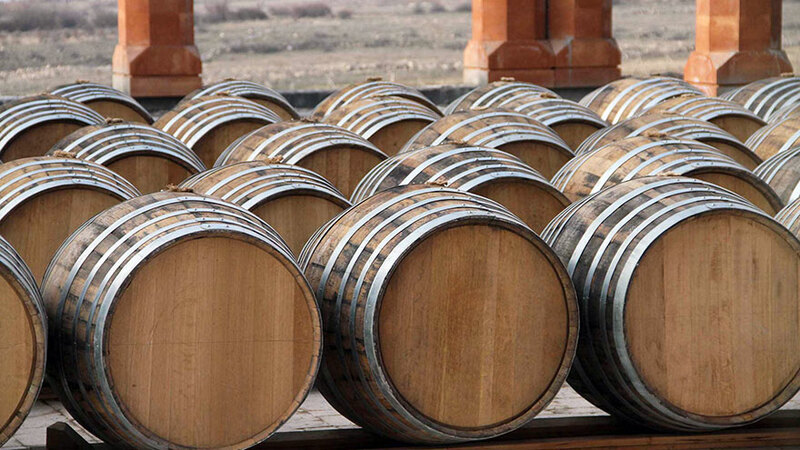 From one of our posts, you may already have learned about Armenian brandy. “What about Armenian wine?” you may ask. It is worth mentioning that in 2007, a 6100-year-old wine-press was discovered in the Areni-1 cave in the south of Armenia. 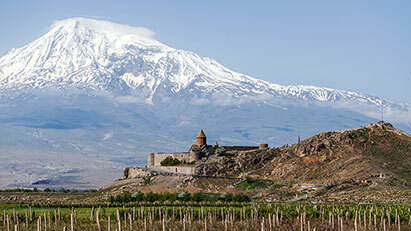 So, are you ready to discover Armenian wine, inspired by ancient tradition? We will head to the Aragatsotn region to enjoy Armenian wine at four wineries: Van Ardi, Armenia Wine, Armas, and Voskevaz. They are all very different to each other, with each carrying a unique flavour. 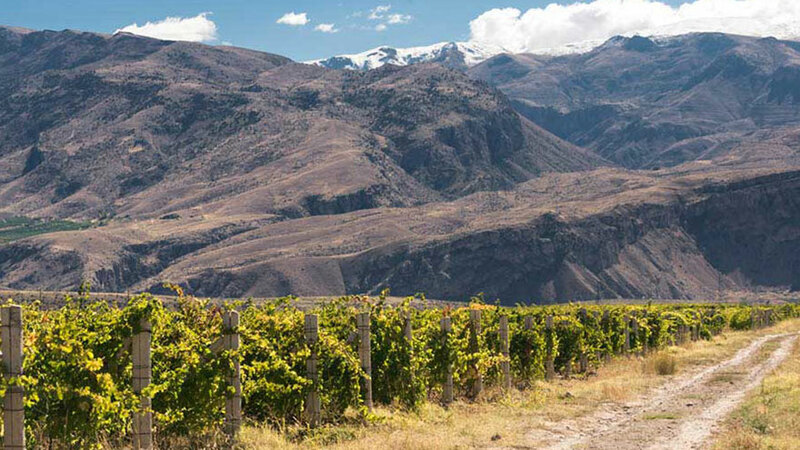 You can also see vineyards from where the grapes are harvested to make the wine you will sample. If you happen to get drunk at Voskevaz winery, we can prompt you on what to do later. You can wander in the streets of Voskevaz village and explore old nice houses, which have very sophisticated wooden doors. Great idyllic place for a photo tour! Another interesting day tour from Yerevan awaits you. 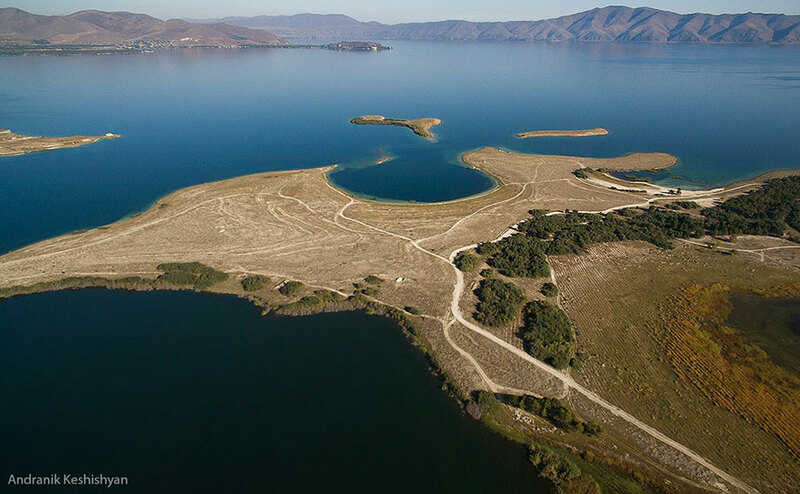 This time, we are going to head to the turquoise beauty of Armenia, the alpine lake Sevan (1900 meters above sea level). This freshwater lake is famous for its trout – ishkhan fish. In pre-Soviet times, a special group of armed people appointed by Tsar Nikolay guarded the lake to prevent people from harming the fish during mating season. 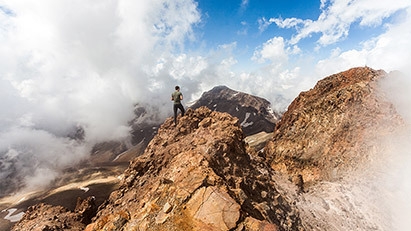 If you are an adventurous person, then the hike to Azhdahak Mountain is special for you. This dome-shaped mountain is the highest point of the Geghama Highlands (3598m), of volcanic origin. This hike proves that hiking is not only a physical activity, but an aesthetic pleasure. So if you want to enjoy some catharsis, join us on this hike. For a more detailed description, click here. 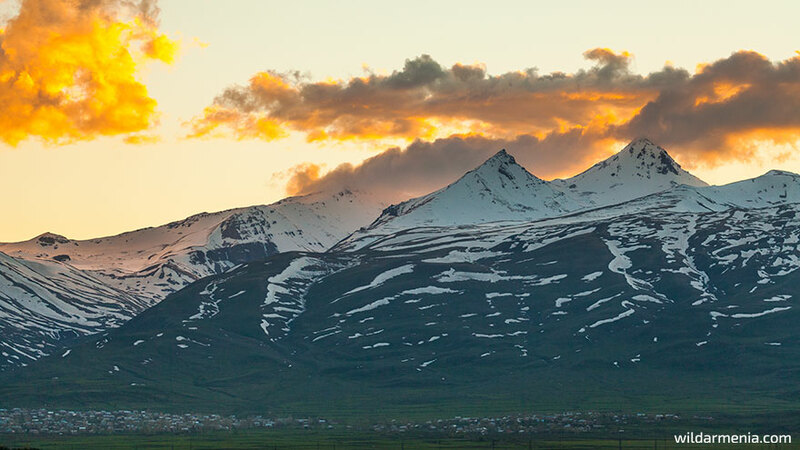 This four-summit mountain is the highest peak of Armenia. Because of its high elevation and some technical difficulties caused by the terrain, the four peaks of the mountain are not easily accessible for everyone, but its lowest pick is relatively easy to access. This hike is extremely beautiful. We highly recommend you to take it after spending some days in Armenia, to get properly acclimatized and to avoid altitude illnesses. 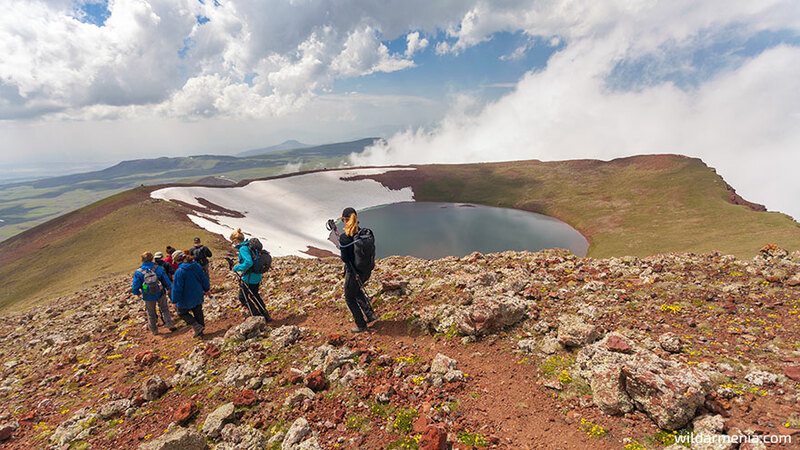 The hike to the southern peak of Aragats starts from Lake Kari, located at 3200 meters above sea level. The Aragats Cosmic Ray Research Center is located near this lake, so if you are interested in astrophysics, this place might become a real point of interest for you. From the peak of the mountain, the epic scene of its crater will open to you. This is one of the most beautiful hikes in Armenia. Even those Armenians who don’t like to hike have been here at least once in their lives. The valley of the river, the gorge, waterfalls, the tree houses and the caves covered by delicate bass-reliefs will help you keep your daily worries at bay with their impressiveness and peacefulness. So, if you want to feel here and now, follow us to Lastiver, which will make you pay attention, and enjoy every single moment. Another beautiful day trip with us in a 4×4 vehicle will take you to the beautiful Tavush region, to the valley of Marts River full of numerous historical monuments, churches, fortresses and bridges. We will head to Kirants Monastery constructed of brick which is unique to Armenia, because there is an abundance of different kinds of stones in Armenia, and consequently, it is the most common material found in construction. 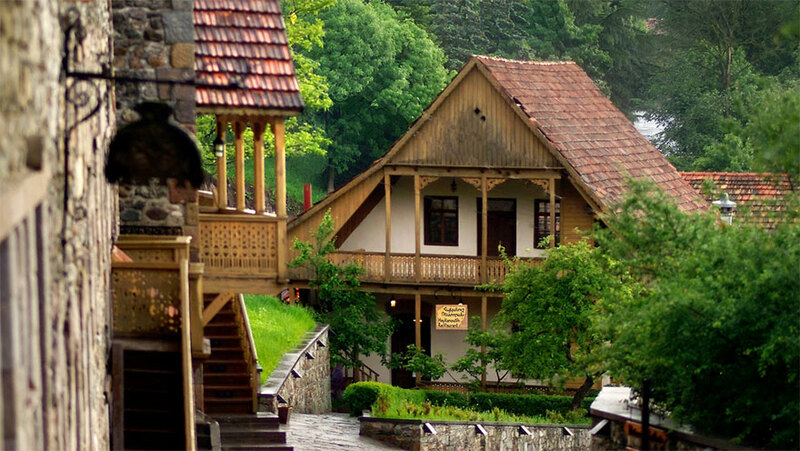 The road partially crosses Dilijan National Park, and passes through forests and open fields. The never-ending horizon gives the sense of wild infinity. After driving by the river, we will get to a place full of heart-warming vibes. Combine these vibes with your prayers (or meditation, call it as you want) and drive back to Yerevan refreshed and purified. This time, we are going to offer you an off-road day trip from Yerevan, which will introduce you to the fantastic landscapes of Armenia. Our destination is Amberd Fortress. We are going to ride up the mountain road, which lead riders on horseback to the fortress as long ago as medieval times. 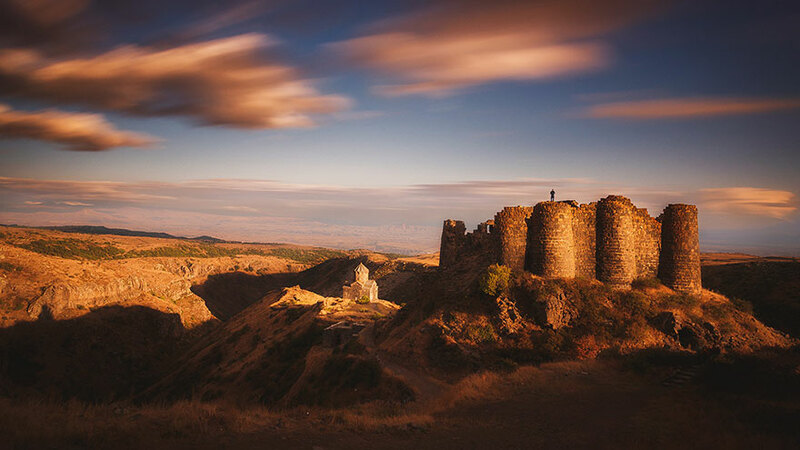 The fortress is located on the slopes of Aragats, which is not only scattered with archaeological and historical sites, but natural monuments as well. Our 4×4 ride will take us to such a monument – the waterfall of Gegharot, which has a fantastic panoramic view. We are going to drive up to 3000 meters above sea level to see this marvel cascading down from a height of 17 meters. Be ready to feel like a bird and experience birds’-eye views in Armenia. 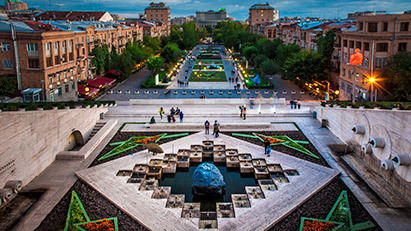 If you are planning a trip to Armenia, don’t hesitate to take day tours from Yerevan . 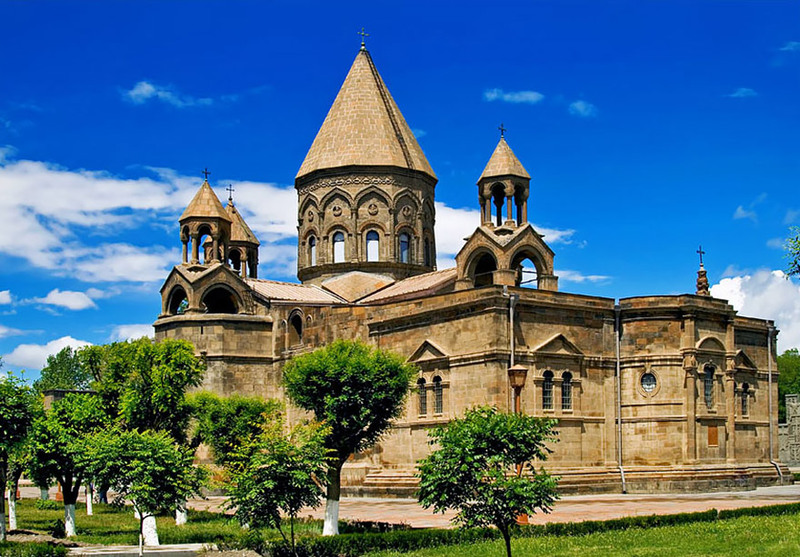 Find our the best Armenian day trips and create your most memorable Armenian experience with us.